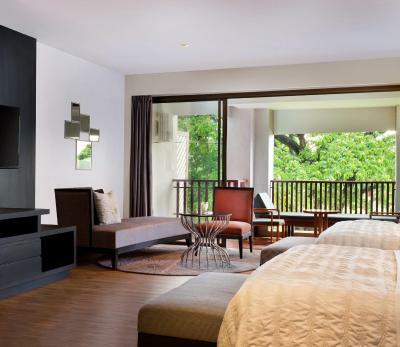 Lock in a great price for Le Meridien Chiang Rai Resort, Thailand – rated 9.1 by recent guests! All the staff are very welcoming, helpful and resourceful. Always greetings with smile and very polite. The best things about this hotel is that I love chill and relax at pool with bubbly. Additionally, a good collection of wine as well as bubbly (champagne). Cocktails are ok but no complains. Shuttle to town a plus and I did not expect it at all. Overall, me and my parent had a wonderful time in there. The staff were exceptionally friendly and helpful. The hotel was incredibly clean. The service in the restaurant was phenomenal and the quality of the food was so tasty and delicious! The breakfast buffet is terrific!! As well as other dinning restaurants ! Whenever I visited Chaingrai I'm always stay at LM and I can said that your breakfast standard still superb! keep up your good work. Service is prompt and timely. Whatever requested could return to us within 5 minutes. Staff is courteous and ready to render their service. The property is spacious and one can truly enjoy Chiang Rai, despite rainy day. Very polite and helpful staff. Big room with nice view of Kok river. Super friendly staffs with excellent extra service like complimentary massage at breakfast buffet and my son got jellies from on of the restaurant staffs which made him finished his breakfast really quick. The resort is located in a very good area by the river and not far from tourist attractions. The greenery river view. Pool view at night is unique, if the hotel can provide basic swim tube and kick boards for children would be perfect. Spacious room with big balcony . The duty manager check in for us is very efficient and friendly. She promote and recommended us to join SPG member and instantly enjoy 10%discount on accommodation. They also offers FREE iced cream for my baby girl after breakfast. Very Good breakfast with special eye openers & plenty of fresh juices. Free shuttle bus to the city more than 10times a day. Very convenient. 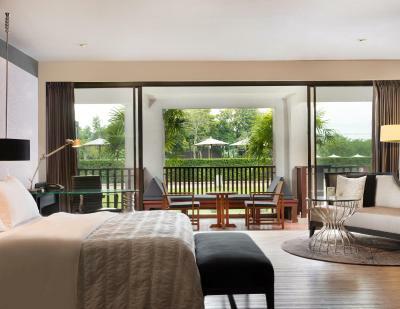 Le Meridien Chiang Rai Resort, Thailand This rating is a reflection of how the property compares to the industry standard when it comes to price, facilities and services available. It's based on a self-evaluation by the property. Use this rating to help choose your stay! 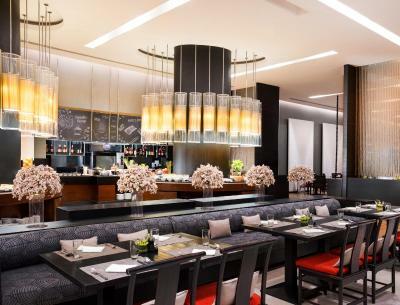 One of our top picks in Chiang Rai.The luxurious Le Meridien in Chiang Rai is surrounded by mountains, historic Buddhist temples and hill tribe villages. Its two-level outdoor pool overlooks the magnificent Mae Kok River, while its spa provides pampering massage treatments. Elegant rooms have a large balcony and sofa which enjoy beautiful views of the tropical greenery or river. All come with a flat-screen TV. Attached bathrooms include a separate bathtub and hot-water shower stalls. Le Meridien Chiang Rai Resort is 1.9 mi from Chiang Rai Night Market and 6.2 mi from the Hill Tribe Museum. It is a 15-minute drive from Chiang Rai Airport. Parvati Spa provides relaxing oil therapies and serves herbal drinks in its classy treatment rooms. 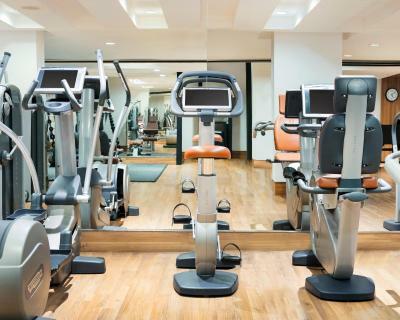 Guests enjoy free access to the 24-hour gym. Day trips like city and mountain tours can be arranged at the tour desk. A shuttle service to the city center is available, complimentary for in-house guests. An international buffet breakfast is available at the casual Latest Recipe, while the riverside Favola serves authentic Italian cuisine. 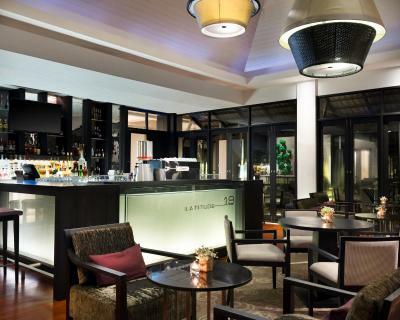 Drinks and tapas are served at the poolside Favola Bar and Latitude 19. 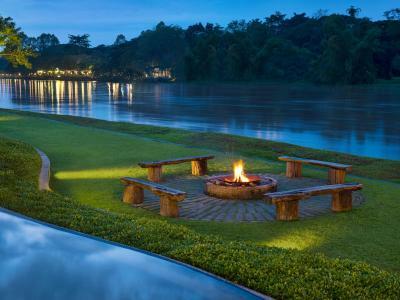 When would you like to stay at Le Meridien Chiang Rai Resort, Thailand? 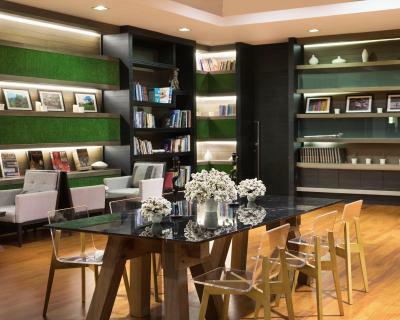 House Rules Le Meridien Chiang Rai Resort, Thailand takes special requests – add in the next step! Le Meridien Chiang Rai Resort, Thailand accepts these cards and reserves the right to temporarily hold an amount prior to arrival. Please note that Favola restaurant at the property, as well as the Parvati Spa will both be closed from 15 Apr 2019 to 30 Sep 2019, due to renovations. During this time, Italian cuisine and spa services will be available at an alternate venue. Guests may experience minor noise disturbances while the works are taking place. Please note that the name of the credit card holder must be the same as the guest's name and credit card used to make reservation must be presented to the resort upon check-in. Not new but very very nice and friendly staff! All the smoking area are far away from restaurant and drinking area. I am assuming that it is related to rule and regulation. The kid's club is more for kids below 4. Do not offer kid activities over weekend. The food varity of buffet can be enhanced. The room is biig and the bed is super comfortable. Big bathroom. Enjoy beautiful sunset at the pool is the moment I love the most. Staff is cheerful, friendly and helpful. I would have liked to get a better deal at the spa . Considering we were staying for so many days . Housekeeping could have been better . We liked the special attention of the staff .particularly executive chef William and senior sous chef Paramjeet.They went out of their way to make us feel comfortable. Overall a very nice holiday due to the way we felt at this hotel .it was like being back home.missed seeing Mr Murli the general manager who was travelling .his presence was missed by the staff and us.The team talks with lot of respect and affection for the GM . On day 2 as we needed an early start ordered a light breakfast in room. Expected to pay a supplement for this, but instead charged full cost, despite already having paid for breakfast. I queried this charge on checkout but due to some spurious reasoning they stated it was correct. Complete rip off and rather spoiled the end of a lovely stay. Bathroom shower need to upgrade , both RAIN SHOWER and HAND SHOWER heads are very common today in most hotels and resorts. Spacious and new room. Beyond my expectation. The room a/c was poor, no individual room control. Hence it’s off or 17 degrees!!!!! Hence they provide blankets but still a major negative. House food and drink prices are high. Rooms are huge and the hotel has every thing you would wish for. Very comfortable room in exceptional setting. Bed was extremely comfortable. The gardens and surrounds were truly exceptional and well-maintained. Staff were very attentive and friendly. The food is ok, but not value for money. Breakfast excellent. You can eat outside the hotel in many restaurants of the area much cheaper and better quality. Big rooms, very clean, nice staff, great swimming pool. Very peaceful and quite atmosphere.